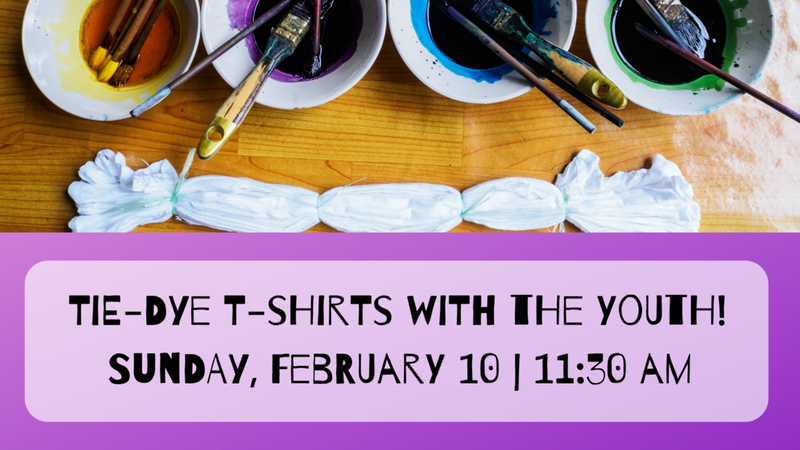 The youth are tie-dyeing t-shirts for their spring fundraiser! All youth (grades 6-12) are invited to meet up with Alicia Schmid after coffee hour. No experience needed!